Smoke from a cigarette exposes your body to over 600 dangerous chemicals, including heavy metals such as cadmium, formaldehyde, phenol, acetaldehyde and arsenic. Though the health hazards of smoking are common knowledge, it can often be a difficult road for many to overcome. Detoxification is a key tool that is missing in many attempts to quit smoking. Just giving it up can seem like a hopeless goal without assisting your body in removing the stored toxins that have accumulated. The great news is that within two weeks on the Optimal Health Center's detox plan, most of the nicotine will be gone from your body. Yes, it only takes two weeks for the majority of nicotine to leave! By the end of this program, you can easily be a nonsmoker. Bile, from the gallbladder, is your main tool for carrying the nicotine and other toxins out of your body in these two weeks. Colon cleansing, and particularly coffee enemas, increase the flow of bile out of your body. Thus, if you are quitting smoking, take coffee enemas, after your cleansing enemas, one to seven times per week. Once the nicotine is out of the body, all physical withdrawal will cease. During the initial two weeks and after, it is important to realize that stress has a physiological effect on the body, which increases the desire for cigarettes. Stress makes the urine acidic. Whenever the urine becomes acidic, the body excretes more nicotine. Thus, when smokers encounter a stressful situation, they excrete more nicotine and go into withdrawal. Most smokers feel that when they are nervous or upset, cigarettes help calm them down. The calming effect from cigarettes is not relief from the emotional strain of a situation, but actually the effect of replenishing the nicotine supply and ending the withdrawal. During stressful times, take more coffee enemas. During stressful times, find a friend who can listen to you rant and rave about the stressful situation. During stressful times, play a musical instrument. During stressful times, take a long walk in a favorite spot and cry. It is essential to try and diminish the amount of stress that you are under when you take on the task of quitting smoking. 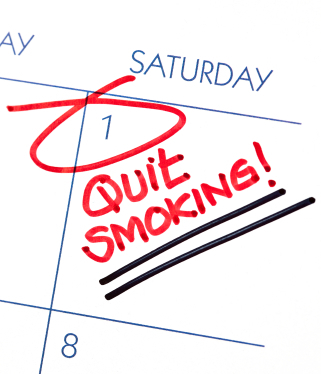 It is fine to start a plan of detoxification and then start eliminating cigarettes a week or two into it. Always remember that your goal is to be successful. With small and steadfast steps, you will be successful! Contact us for support on your journey toward optimal health.